The tread on your tires today is where most of the technology innovations happen. Tread designs and patterns are constructed to handle various weather conditions, handling and durability. Regardless of the type of tire you drive on, high performance, all season, snow; the tread is going to wear over time and the wear on each tire will be different. In the past week we’ve covered many safety aspects of proper tire use and maintenance, in an effort to support National Tire Safety Week. All of them revolve around protecting the tread on your tires. Improper tire inflation can lead to problematic wear on various areas of the tire, proper alignment helps with handling and even tread wear, and rotating your tires allows for even wear across tires that get uneven treatment while driving. You really can’t go wrong by visually inspecting your tires regularly. Take a look at each of the tires and check for uneven wear, look for rocks and other debris that might be stuck in the tread groove’s and if you have a penny handy, check the tread depth. The law is for the minimum tread depth to be no lower than 2/32″. The rule is, if you can see all of Lincoln’s head on the penny when it’s placed inside the groove of the tread, you need new tires. Don’t ignore worn tires, tread depth is incredibly important to handling your vehicle, especially on wet or snowy roads. If you drive often on wet roads, your tread depth should not go below 4/32″ and if snow is your commuting partner, 6/32″ is the rule. Worn tires cause a myriad of problems for the driver all of which lead to unsafe handling of the vehicle and possible accidents. 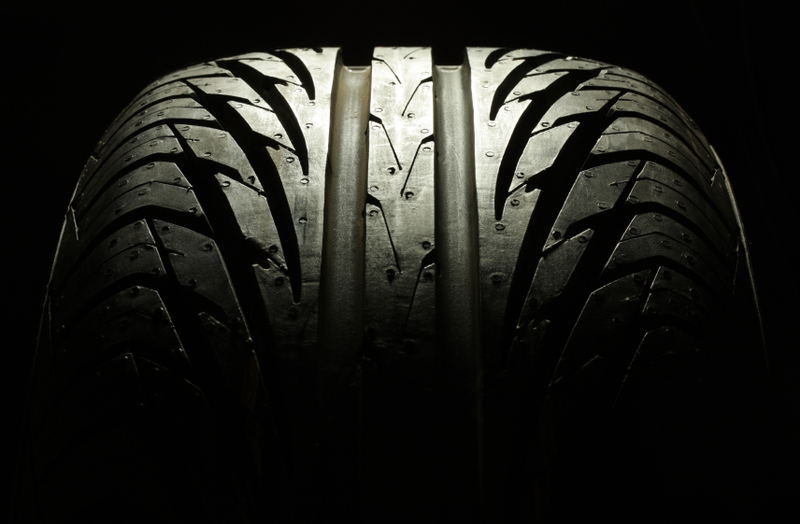 It takes five minutes and can better protect you from tire failure, so go check the tread on your tires today.